This blog has been created as a place to capture the essence of the Olympic Spirit and, through shared insights, attempt to discover what exactly happened during those days of the Vancouver 2010 Olympics and Paralympics. 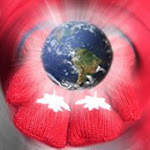 Many of us experienced a warm and fuzzy feeling of joy and happiness as our hearts swelled with pride, while others were moved to spontaneously break out into an inspired version “Oh Canada”. Canadian flags and red & white were everywhere. Everyone was smiling and felt a sense of unity with one another unlike anything experienced before. What exactly happened? Were we all undergoing some kind euphoric mind alteration… or perhaps it was a few too many “brewskies” or too much fresh air, as people swarmed the streets of Vancouver from dawn til dusk and well into the night? What was “it” that actually happened? That is what I hope to discover…together with your input. I invite Olympic atheletes, volunteers, torch bearers, international tourists, Canadians, Aboriginals and Vancouverites - whether you watched and felt the Olympics at home or were physically in Vancouver - to share your experiences, insights and thoughts about your Olympic experience. Share your stories and encounters…peak moments, reflective thoughts ... anything that will help give a coherent expression to the magic and energy that we all felt (and hopefully are still feeling ) during this time. So hopefully… we can do “it” again and we can hang on to “it” and use “it” to make a better world. 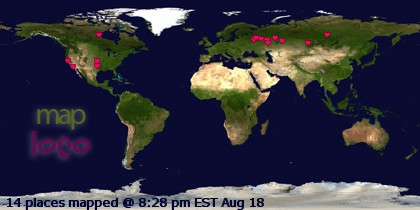 Hopefully… our “Glowing Hearts” will continue to glow and spread love and happiness into our world. In addition to your very appreciated input, we are hoping to discover the many other elements that were a part of the Olympic games both seen and unseen; noticed and unnoticed that played a contributory role in this. We will explore the unique expression of the human spirit; our connectedness to each other and the other nations; the overwhelming sense of good will and peace that pervaded the games…”the energy”. We will delve deep into the symbology that was used to symbolize Canada but also create a sense of magic and wonder such as the giant polar bear or Aurora Borealis in the Opening Ceremonies. Below are some questions to start you off. Feel free to use the questions as a guide to help direct your thoughts or just “wing it” and write whatever comes to mind. My intent is to form all of this into a book. If you prefer to write to me directly about your experiences, please contact me at sue@suestudios.com. Please email me photos of homes decorated in red and white that we can post on this blog!! 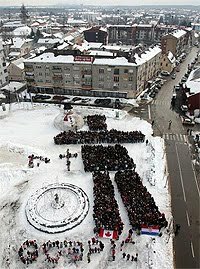 Let's see how Canada celebrated their Olympic Spirit. See photos collected so far. Tell us about your best moments and what made your heart glow. There were so many things, moments and experiences that made my heart sing. One event that happened made me say... YES! This is what the Olympic Spirit is all about! Monk Hiebert, a painter who spends her time in St Albert, AB and Vancouver Island, turned a painting she was working on into a tribute to the Georgian luger, Nodar Kumaritashvili, who was killed during a practice run Feb 12. At the time of hearing about the accident, Monk was working on a painting of Cathedral Grove on Vancouver Island. Every day she has packed up her painting and hauled it to the Olympic Oval in Richmond and allowed passersby to add a single brush stroke then write a message to the family on the back. Once the painting is completed, she adds the finishing touches. She plans to either send the work to Kumaritashvili’s family in Georgia or take it there herself. What kinds of things did you see of people embodying the Olympic Spirit? What were some of your favourites? One of my favourites was seeing Alexandre Bilodeau hugging his brother, Frederic, after winning his gold medal in moguls. Alexandre said "growing up with a handicapped person puts everything in perspective. He taught me so many things in life. My parents did, too. I have everything on my side." The joy on both of their faces was priceless, tugging at my heart strings and tears welling up in my own eyes. There are lots of untold stories.. what did you witness? The traditional Inuit people of the north have long used the Inukshuk to impart messages and communicate with others. The word Inukshuk (singular of Inuksuit) means “likeness of a person.” As a nomadic people, the Inuit would place a cairn of stones to act as a human messenger or convey important information for survival to others who were passing by. In additional to their job as symbolic landmarks, the Inukshuk became an ancient and eternal symbol of communication & friendship between peoples; a symbol of the north; of leadership; and of the human spirit. Inukshuk in Gospic touched me deeply because of their spontaneous gesture and of the multiple layers of symbolic meaning that it represented. Their act of friendship included a show of support and leadership in honouring both Nodar Kumartashvili and Vancouver 2010 in their demonstration. They exemplified the indomitable human spirit to reach out and connect with others; to communicate by whatever means possible. They not only created their Inukshuk from the bodies of 1500+ people but they also embodied the symbolic meaning of the Inukshuk. In a world shaped by electronic communication the fact that the Gospic town’s people used this simple yet powerful symbol of friendship spoke volumes and touched my heart. It said much more than an e-mail or text message ever could. And finally a stirring deep within my being in the rightness of this gesture, that the ways of the ancient ones were also being honoured and respected … and that this ancient from of communication still had great relevance in today’s world. What symbols during the Olympics had special meaning to you? What did it mean to you… emotionally, intellectually and spiritually? How did your experience if the Olympics make you feel? Leading up to the Olympics, my interest was ambivalent. I was interested and excited to some degree. I didn't follow the torch relay. My niece had an opportunity to actually hold and have her picture taken with the torch in the Toronto area when it was passing through Toronto on its journey to Vancouver. Again, I was thrilled for her, but for me, it still did not excite me. 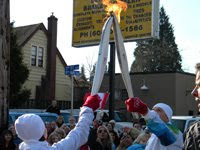 It was not until I saw the torch pass through in New Westminster BC that I felt this incredible excitement and joy and love fill my entire being... as if the flame ignited my own heart and soul. That total feeling of bliss stayed with me throughout the Olympics and Paralympics. I felt at one.. with myself, my community, the world. I felt myself wondering… ”What would it be like to live in a world that was like this all the time and to have those feelings all of the time? Is that even possible? What has changed for you since the Olympics? Things have changed in subtle ways in me. I feel much more a sense of community with Canada. The words to our national anthem have taken a whole new meaning ..."with glowing hearts we see thee rise".... my heart continues to shine and feel that Olympic spirit within me. Whenever I am faced by challenges in my own life, I remember the inspirational words of the athletes who overcame their own challenges to reach their goals. I have an "I can do it too" attitude. I have had this idea for the book. Throughout the Olympics I kept saying, somoene should write a book, this book has to be written. Then it dawned on me that I could write it, why not me?? What can we do to maintain that spirit within us and keep spreading that positive energy out into the world? I think ultimately the momentum for that has started…the ripple effect…as each of us, and those who visited our country, return home ever-changed by what occurred here, our lives enriched by the experience. But beyond that…what else can we do? Taking the feedback you contribute to this blog and turning it into a book for publication, making it accessible for more people will help anchor the energy, keeping it fresh and alive within us will helpt to keep that ripple going. Copyright Withglowing-hearts.ca. Simple theme. Powered by Blogger.